I’ve always been one for keeping things as simple and accessible as possible. I hate individual systems that tie a website owner to one provider, always have and with WordPress we have freedom. So I swiftly moved from creating websites using html to this wondrous tool that means anyone can edit their own content. 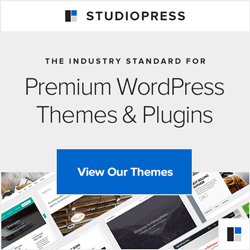 There are several platforms that enable this now, but WordPress is pretty straightforward to work with and there are thousands of people who can help you, a community that strives to be more helpful all the time, that welcomes every level of experiences, indeed arms are thrown open wide in welcome. Really. It is only in the past year or so that I’ve really understood the community side of things and I’ll write on that further because it is proving integral to how The Blogmistress is evolving. I love community, being useful and helpful, and that is where the focus of the Blogmistress site will return. Yes, you can still buy support and websites, but we will be showing you how to do it yourself, back to how things started here, which sits well with me. So – that’s it really. I’ll share more video tutorials and will definitely blog at least once a week with really useful stuff for you. And as for the Blogmistress avatar? Well she should be a bit older and wider now, I think, so we’ll see about that later rather than have her as a distraction from some much needed JDI action.